Defendants charged with violent crimes face serious penalties under New Jersey’s criminal justice system. Many of those defendants are innocent and face these charges due to shoddy police work, mistaken identity, planted evidence or even racism. 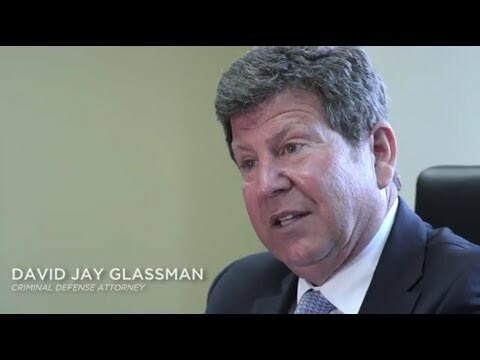 At the Law Office of David Jay Glassman, we work to prevent wrongful convictions by providing our clients with a formidable defense to the violent crimes they’re charged with. By drawing upon more than three decades of experience representing defendants, we do everything possible to tear holes in the government’s case against you and get your charges or sentence reduced when possible. Our legal team represents defendants facing serious charges throughout New Jersey from our offices in Marlton, Hackensack, Newark, and New Brunswick. No matter how serious the charges against you, we are committed to defending your rights. The possible charges and penalties for violent crimes vary drastically based on what may seem to be insignificant factors. For example, your intent at the time the crime was committed can completely change the type of offense you are charged with. The use of a gun or other deadly weapon in a violent crime can elevate the charges against you. These factors are used to determine the degree of your crime. First-degree crimes carry the longest prison sentences. Fourth-degree crimes carry a maximum sentence of 18 months. Repeat convictions and other factors can also affect your sentencing. We help you understand the charges and specific penalties you face and work tenaciously to fight for the best result in your case. We also provide aggressive defense to restraining orders, which can restrict your liberty and ruin your reputation. We’ve seen too many instances where restraining orders were used as weapons to tarnish the reputation of good people, denying them their right to come and go as they please and to exercise their Second Amendment rights. With more than three decades of experience in criminal law, our defense attorney crafts the strongest possible strategy to fight the charges you face. If you have been charged with a violent crime, you deserve an aggressive and experienced attorney who can begin to fight for you as soon as possible. With offices in Marlton, New Brunswick, Hackensack and Newark, the Law Office of David Jay Glassman is committed to defending those accused of even the most serious violent crimes. Our legal team handles cases throughout New Jersey. To arrange a free consultation with a skilled litigator, contact us online or call us at 866-221-1270.